You’ve probably heard of osteoporosis. Maybe you even try to get enough calcium in your diet to avoid osteoporosis as you age. There’s a lot more to preventing osteoporosis and understanding it than simply trying to up your calcium intake. Here are four important things you probably didn’t know about osteoporosis. You probably know that osteoporosis has to do with bone loss or weakening bones, but what most people don’t realize is that osteoporosis doesn’t affect the whole skeleton. It’s not a systemic disease. 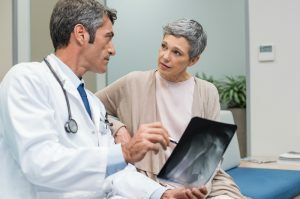 Bone loss generally occurs in a few key places: the ribs, wrists, vertebrae, and the head of the femur which connects to your pelvis, forming your hips. Bones affected by osteoporosis become weak and show porous holes throughout. Because your bones give your body structure and allow for proper movement, weakening bones can cause serious issues. Avoiding osteoporosis and treating it properly as soon as it’s identified is important. How Do You Stimulate Bone Growth? If you’ve been diagnosed with osteoporosis or the beginning of osteoporosis, you should know that it’s possible to stimulate regeneration in the bones and reverse the effects of osteoporosis. Many people assume that proper nutrition is the cure for osteoporosis. Nutrition is definitely important, and you won’t get optimum bone growth without it, but it will only get you halfway where you need to be. The key to healthy bone regeneration is proper exercise. The signal that starts the process of bone growth is actually created by physical activity and pressure on the bones. This activates the nutrients that cause regrowth. The right kind of exercise is also important. In order to activate the cells that regenerate bone, you need to perform weight bearing exercises. This doesn’t necessarily mean lifting weights. In fact, lifting weights often builds bone in the wrong places. Surprisingly, the best exercise for bone regeneration in these areas is walking. Your body weight is enough to cover the weight bearing aspect, but you also need movement. Walking is better than running because it’s lower impact and poses less risk of injury. Is a Hump Caused by Osteoporosis? For decades it was assumed even by orthopedic doctors that the curve of the spine at the top, a “hump,” was a result of osteoporosis. Research now suggests that this curve is actually a cause of osteoporosis, not the other way around. Osteoporosis is often caused by a lack of loading or weight bearing. If the top of your spine is constantly curved forward and not stacked on the rest of the spine, it’s not putting the proper load on your spine, putting you at risk for osteoporosis. When you are walking, be sure that you’re stacking your body properly. This will help protect your vertebrae from developing osteoporosis. 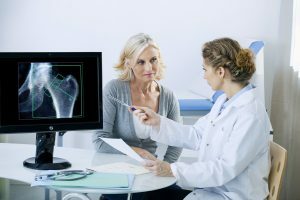 If you’re worried about osteoporosis, make an appointment with quality orthopedic associates in Jacksonville, FL. For more information or to set up an appointment, visit www.se-ortho.com.